The concept of ideal gaming laptops under $500 is indeed an abstract term. Finding one can be a very challenging task, in particular on the internet. We have spent a great amount of time research the hidden corners of the web, finding machines that possess the sufficient strength to fit in the tight budget, but also provide great gaming time. It is important to note that gaming laptops that go under $500 cannot meet the latest standards set by the latest components available on the market. However, they handle decent settings at mid-ranged games that came out in the past few years. The fact that these laptops are cheaper and less capable in terms of performance does not mean that they are little to no beneficial compared to the current gaming laptop giants. Soon, you will realize that they can handle more games than they can’t, and that is excellent for the old fashioned gamers, but also those who like to explore the never ending sea of games that don’t have too demanding requirements. In this article, we reveal the top 10 gaming laptops that you can shop under $500, along with their main highlights, features, and components. For the end, we’ve prepared three bonus models that are slightly better than the other laptops. Keep reading this highly intriguing article to find out the best gaming options that are a perfect combination of gaming performance and money. Asus F55LA is an attractive design laptop that offers some decent extras. It belongs to the budget type of laptops that sport Intel Core i3-5010 processor that goes up to 3.2 GHz along with 4 GB of RAM. For the graphics card, there is an Integrated Intel HD 5500 GPU, while the storage has 500 GB hard-drive. The Asus F555LA has a lot to offer, and now we will dig into some of its detailed features. The F555LA looks far more prestigious, despite being a low-budget laptop. The deck of the laptop is silver, while its bottom side is made of casual black plastic. After you open it, you will see an attractive keyboard and a number pad with black chiclet keys, and also an incredible 15.6-inch screen. The dimensions of this model are 15 x 10.1 x 1 inches, while the weight measures around 4.6 pounds. This being said The F555LA belongs to a lightweight selection of models in the budget. The keyboard features the number pad as well. Which leads to delight in people who have a lot of typing work to do, especially in MS Word and Excel. However, the keyboard is a bit bouncy. On the other side, the touchpad is very efficient. It handles requests with a good transfer speed and a decent accuracy. The 1080p display features 1920 x 1080 resolution which is good, considering that most of the laptops with the same price tag cannot do the same. The display is bright and has vivid and vibrant colors. The budget gaming laptop it is, Asus F555LA sports a Core i3-5010 processor and 4GB of RAM. The laptop can easily handle the chunky multimedia programs such as Photoshop and Illustrator, and the multitasking doesn’t make a significant notice in the system. For the Graphics, there’s an integrated Intel HD-5500 graphics card that is pretty good despite being only an integrated card. It cannot run the best games there are but will appeal to old-fashioned games. The storage is completed with a 500 GB hard drive, which is enough for a general use. The laptop has an attractive design, it is sleek, featherweight and relatively thin, which allows its users to easily transfer it from one position to another. Should you use your laptop elsewhere than your deck, this machine will ensure that you do it with ease. It has respectfully good cooling system, allowing you to play games without overheating, lag and stuttering. The 1080p screen is something other laptops in the range of the same price tag cannot offer. In the sea of small and average screens, the F555LA stands out from the Crowd. Strong and clear speakers are simply amazing. Integrated graphics card potentially kills the gaming spirit. It doesn’t allow people to play games that are more demanding. The keyboard is very bouncy which may lead to easy spelling errors. For game enthusiasts who are looking for an entertaining side of gaming, this attractive budget machine will meet their demands. The Asus F555LA is an elegant combination of decent components, good performance, and design, for less than $500. Mid-ranged price, sleek looking chassis laptop under $500 will make you fall in love with it. 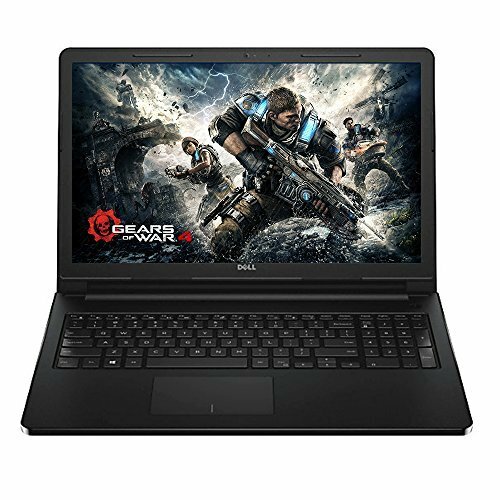 This low-budget gaming laptop features Intel Core i5 processor an amazing 8 GB of RAM which is more than enough for playing games, along with Intel HD 4400 graphics card. As a result of a metal-brushed chassis, the laptop indeed looks premium and elegant. This gaming machine under $500 smells like a high-end laptop thanks to its design. It features a 15.6-inch diagonal LED screen with a 1366 x 768-pixel resolution. This screen is not an ordinary screen Acer Aspire F15 never ceases to amaze us with a touch screen laptop edition that is not quite frequent to see. The keyboard is very comfortable and also backlit, giving a full gamer experience for all gamers. It also offers numeric pad on the right side, making it very comfortable for people who like to write. Before purchasing the laptop, it is of utmost importance to highlight some of its main features regarding performance. Coming with a 4th generation Intel Core i5 1.7 GHz processor with 3 MB cache and 8 GB of RAM, this machine promises a constant gaming time with games without too demanding attitude. The laptop stores 1 TB mechanical hard drive that can store a large movie collection, important documents, and most importantly games. This is another laptop featuring an integrated graphics card, but in this case, it is the Intel HD model 4400 with shared graphics memory. The laptop also comes with SD card reader, DVD/RW drive, Bluetooth, webcam and much more. Touch Screen is not something we necessarily need in the world of gaming but can come in handy in various activities. Just like most of Acer models, the F15 comes with a 4-cell battery that gives outstanding battery life, measuring between 10 and 12 hours while surfing the internet and several other activities. Acer F 15 Premium sports respectful cooling system. The touch bar isn’t as fast as the competition. It is not too responsive and might end up doing backward actions than desired. Intel HD graphics card is not something gamers are looking forward to, but it is the best one can get for less than $500. Acer F 15 Premium is a laptop of vivid features and a lovely design. It sports components with sufficient capability to run some older games and provide a decent gaming experience. Unless your budget goes above $500, I say, go for it. 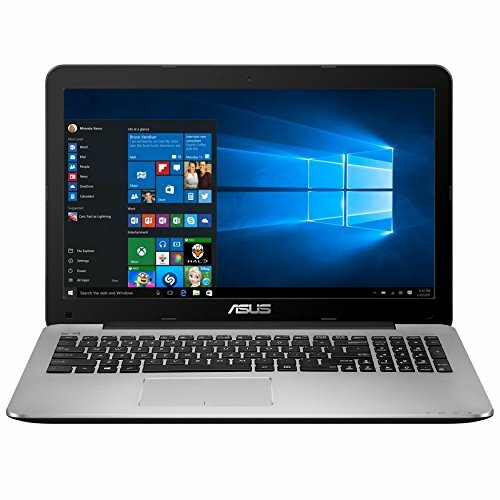 If you’re looking for a fast-running, multi-purpose and gaming, relatively light laptop, Asus X555DA has a good-quality machine for you. It sports an AMD quad-core processor and an integrated graphics card. Followed with 8GB RAM and 1000GB hard drive, it can provide some great gaming experience. The design of the X555DA laptop is outstanding, but not much different than the competition laptops of the same budget. It features a dark-grey case, that is made of plastic, however, definitely not of cheap plastic. This 15.6-inch laptop has an IPS panel screen which makes it superior to other laptops. Additionally, the 16:9 ratio full HD resolution makes it even more superior. It has a customizable keyboard with a numeric pad, and the keyboard feels very cushy and soft. This laptop features something a bit different. It has an AMD quad-core processor, ranging up to 1.8 GHz, and also capable of reaching up to 3.2GHz in a turbo mode. Also, it has 8GB of DDR3 RAM, which is more than sufficient in supporting newer version of games despite the integrated graphics card. The Integrated graphics card AMD R6 is concluded to be capable of running some new generation games but at reasonable settings. 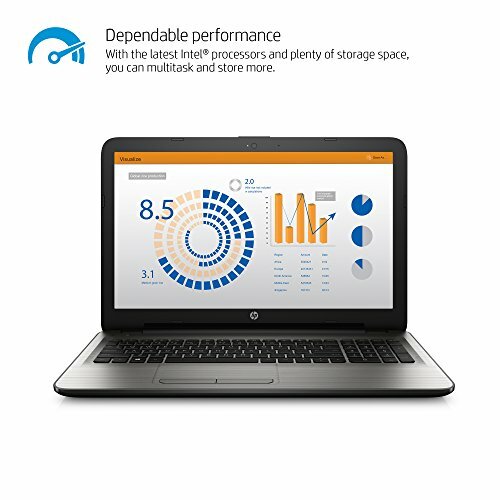 For storage, this laptop has 1000 GB which is fantastic for saving some large data. It as an efficient battery life of 4-5 hours, which is still less than Acer F15 but also enough considering that gaming risks some of the battery. The laptop is relatively lightweight. It will easily fit in a laptop bag, and it won’t cause problems traveling with you. It has a good battery life that is estimated to last for 4-5 hours. Also, cooling features have proved themselves useful in keeping your laptop at a reasonable temperature. IPS Panel screen is the best you can get from a gaming laptop for this price. A sharp and clear picture without the darkening corners which is the case with the TN panel screens. Mousepad is not so responsive as other models. For this budget, we expected a better responding touch bar. The charging cord is quite short. Sporting its high-quality components that got released recently Asus X555DA is the laptop you’ve been looking for. It promises a fast, smooth gaming experience with fair frame rate per second. It has everything an average gamer would be asking for of a laptop that costs less than $500. HP 15-ay013nr features a solid design, decent battery life and a nice combination of components and price for daily use in the office and gaming. 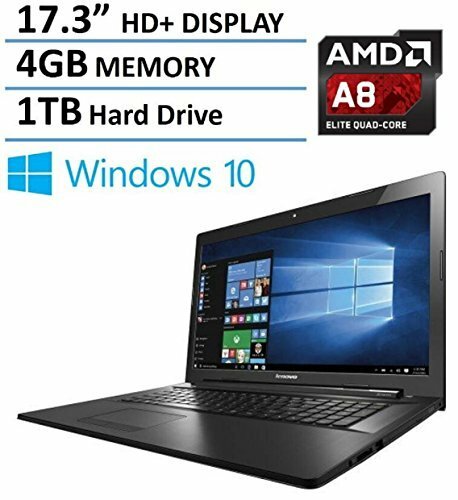 This 15.6-inch screen laptop consists of Intel® Core(TM) i5-6200U Processor 2.3GHz with Turbo Boost up to 2.8GHz, 8 GB of DDR3 RAM and Intel HD integrated graphics card. Suited in a lovely case, this laptop isn’t any thinner than its competition. It weighs around 4.6 pounds and is quite large as a result of its 15.6-inch screen. It supports 1920 x 1080-pixels full HD resolution that is perfect for watching movies, working and having a great time playing games. The laptop, just like the other models comes with a 64-bit Windows 10 and a lovely keyboard and a responsive touch bar. Given it 1080p display, the system has a durable battery that can last 5 and half hours. The laptop comes with an i5-6200U Skylake Processor that has 2.3 GHz and boosts up to 2.8GHz in its turbo mode. It has an Integrated Intel HD 520 graphics card that is inefficient about high-performing games. However, it can easily run games that sport lower gaming demands. For the memory and storage, there are 8GB of memory that you can easily extend up to 16GB and a 128GB smooth swift solid-state drive (SSD). Features a wonderful design that looks far classier than in the pictures. 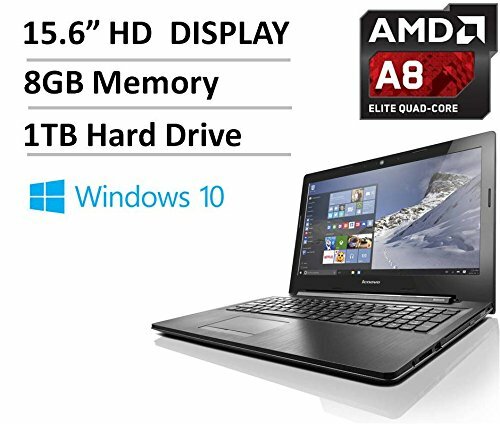 Has 6th generation Core i5 Skylake processor that is a great deal-breaker on a budget laptop for gaming under $500. The good-quality display will assure that you watch movies in full HD, and play games in an excellent passionate gaming experience manner. A cushioned, comfortable keyboard makes typing and gaming go very smoothly. Poor quality touch bar is not the swiftest and smoother touch bar that you will find among the competition. For a laptop under $500 dedicated to gaming, you’d be more than happy to choose this model. It has minor issues with a touch bar, but all of its other features work like a charm and are very efficient. Even though it doesn’t set exceptional performance records, Lenovo G70 provides sufficient experience using it. 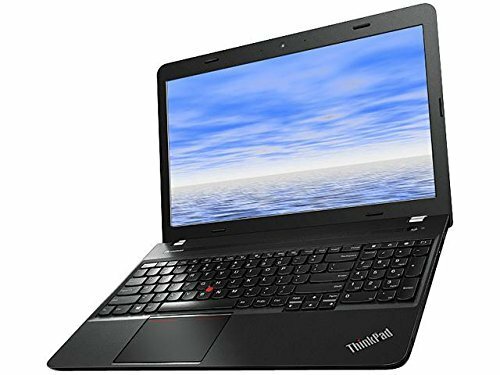 This large, 17.3-inch laptop sports some amazing features, such as AMD quad-core processor, 4GB of RAM and AMD Radeon R5 graphics card. It stands out from the crowd with some other features as well. This large 17.3-inch laptop has a nice quality screen with 1600 x 900 pixels. The screen is decent in both brightness and contrast features, in particular for a low-budget laptop. The screen comes with a TN panel. Therefore, the screen is reflective from several positions. The battery can last up to 5 hours, which is a decent time for internet surfing and other, not too demanding activities. 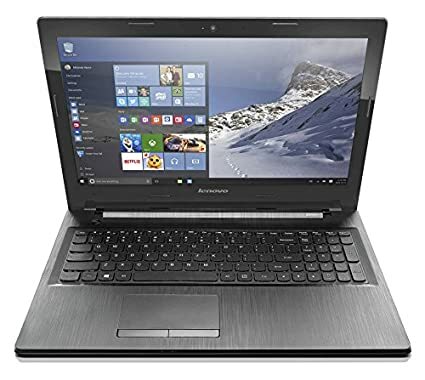 Lenovo G70 series laptop has an AMD quad-core processor A8-6410 2.0 GHz with 3 MB cache memory. The RAM measures up to 4 GB which is basically not too efficient regarding gaming, but you can easily upgrade it. It has a 1TB 5400rpm drive that can save up a lot of content. The graphics card is an AMD Radeon R5 dedicated graphics card that can provide some decent level gaming. For the price, this laptop brings together productivity and gaming. AMD R5 dedicated graphics card allows gamers to play their favorite games that were released in the past. The system runs silent and easily optimizes the desired temperature. We’ve never had a need to increase the audio to hear games better, which is excellent. TN Panel is a bit disappointed. Everyone is looking forward to a laptop with an IPS panel because of its ability to not reflect. As a result of a TN panel, you might not be able to see the screen well from every position. Lenovo G70 is a low-budget laptop for decent daily activities including gaming. Thanks to its good-quality components, the laptop is eligible for a good-time, high-end gaming on reasonable settings with reasonable frame rates. Use default template Interested in more 17-inch laptops? Here is our 10 Best 17 Inch Laptops buying guide. HP Notebook 15-ay011nr is another laptop from our selection that does a solid job performing mid-ranged gaming on reasonable settings. 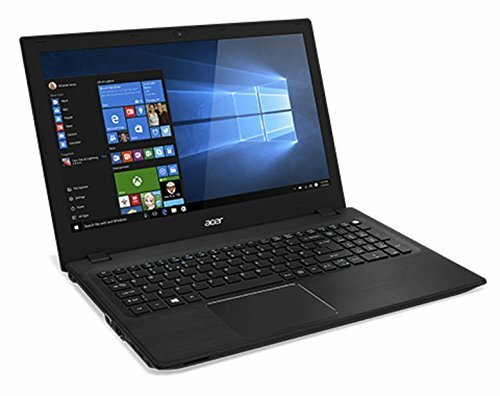 This 15.6-inch laptop features 6th generation Intel Core i5-6200U (Skylake) processor and 8GB DDR3 RAM. Data is stored in a 1TB mechanical hard drive and just like the others have preinstalled Windows 10. HP Notebook 15-ay011nr is made out of plastic but, definitely not a cheap one. Despite the plastic design, it features attractive and stylish build. 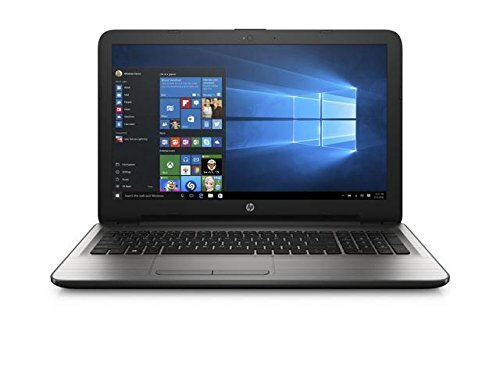 Even though good gaming laptops risk portability, this HP notebook features extremely lightweight system at 4.9 pounds and 15.1 x 10 x 0.96 inches dimensions. The chassis features silver, diamond texture that looks very elegant whatsoever. The system has a bit slippery, but smooth and adequate touchpad, but not so accurate keyboard. The keys are not as cushy as we used to like. The screen is sharp and clear. That is a 1080p display with resolution 1366×768. The system also has a reliable, durable battery life. See more: Check out HP Notebook 15-ay011nr Full Review. Despite being a budget laptop, HP Notebook 15 has an Intel Core i5-6200U processor followed with 8 GB of DDR3 RAM. This setting is more than good to perform decently in games. It has an Intel HD graphics card; that isn’t as good for gaming. That’s why it’s recommended not to play games that have requirements that exceed from this laptop’s capability. The storage sports 1 TB hard-drive. Respectful battery life that can last for 5 hours. This result is very satisfying. The laptop has advanced cooling system. The machine won’t heat even when exposed to HD videos and playing games. Heating plays a crucial part in gaming, and you don’t have to worry about this laptop overheating. The integrated graphics card is merely disappointing. This model would achieve much higher gaming experience if it had a dedicated graphics card. The keyboard isn’t as good as we hoped it would be. Very noisy and rather annoying instead of a nice, comfortable keyboard. HP Notebook 15 is an attractive design, mainstream gaming laptop that can handle some entry games and daily use. It has a nice 1080p display, decent battery life, but the keyboard is pretty noisy and uncomfortable. Lenovo ThinkPad Edge is a 15.6-inch laptop for a day-to-day use and decent gaming at lower settings. It is equipped with the AMD A10-7300 Processor, 4GB DDR3L SDRAM. The storage is equipped with a mechanical hard-drive that measures 500 GB and Windows 7 operating system. It comes with a smooth, black chassis but is heavier than most of the laptops in its range. When you open it you will see a lovely cushioned, comfy keyboard that includes a num pad as well. The touch bar isn’t as responsive as with other models. However, most of the gamers rely on the mouse for gaming. The other features include a 15.6-inch display with an anti-glare feature. The resolution is 1366×768 pixels. Also, the device has Bluetooth, optical drive, a USB 2.0 port and two USB 3.0 ports. To provide solid and productive gaming experience, the laptop was equipped with the AMD A10-7300 processor, 4 GB of RAM, although we wish it were 8 GB. For the graphics card, there is an AMD Radeon R5 graphics card with 2GB dedicated memory. The storage is enriched with a 500GB hard-drive that allows you to store the important data to you. The laptop has a decent battery that provides durable battery life. The laptop gets hot over time poor cooling settings. ThinkPad is a better laptop than it looks. Thanks to the dedicated memory graphics card, it is capable of running decent games. All in all, it is a productive, solid gaming laptop in the budget. Acer Aspire E5 series laptop is an ultimate budget gaming machine. This 15-inch screen offers some great components. It came with the latest 5th generation Intel Core i5-522U, 8GB RAM, 1TB HDD and preinstalled Windows 10 Home. This stylish laptop comes with a black plastic chassis, somewhere between the shiny and matte. When you open it, it’ll show you a beautiful, deep keyboard with a num pad as well. Despite not having any metallic features it looks quite elegant and handsome. This laptop comes with a 15.6-inch diagonal display that is 1080p. It features vibrant color-accurate shades. The keyboard gives a mean punch with its resistance and rubbery feel upon touching. On the other side, the touch bar is very smooth and can handle 2,3,4-finger gestures with ease. The laptop is definitely a gaming machine. It features Intel Core i5-5200U along with 8GB RAM. It has a swift and fast-responding 1TB mechanical hard drive. The graphics card allows the gamer to play higher games such as Witcher III and GTA V on medium and lower settings. The graphics card is NVidia GTX 940M which is more than sufficient for high-end gaming. It provides excellent productivity and gaming experience. Nvidia Graphics card is an Easter Egg that provides advanced gaming experience compared to other models. The laptop has a Dim screen, and it is quite chunkier compared to other 15-inch laptops. The laptop offers a great mixture of productivity and gaming experience. It can surely run more demanding games thanks to a dedicated Nvidia graphics card, but it can handle chunky programs such as Photoshop without a sweat. The latest 2016 Dell Inspiron 15 has a lot to offer. This premium high-performance laptop is coming with a 15.6-inch screen diagonal and sports the AMD A8-7410 Quad-Core processor. Together with it comes the 6GB of RAM and a Hard Drive with 500 GB. The Dell Inspiron 15 has a casual black design for a 15.6-inch laptop. Once you open it, you will see a casual black keyboard and a touch par. The laptop also features the num pad from the right side. It has a LED HD screen with the backlit features and Truelife HD feature. Thanks to its 1366×768 resolution you can enjoy your favorite movies and games in high-definition. The Keyboard is a bit smaller than other keyboards, but that must be a result of making space for the num pad from the right side. The laptop sports a battery that can last quite a long. It allows you to play games, but not the best ones. Dell Inspiron 15 sports AMD A8-7410 Quad-Core processor and is backed up with 6GB of RAM which makes up for a low Radeon R5 graphics card. Just like the most from the list, this laptop comes with a 500GB hard-drive that allows you to save your stuff on it. A casual, yet attractive chassis that looks far more expensive than a budget laptop is more than lovely. The laptop features a high-quality gaming performance despite the price. TN panel screen will make your positioning rather harder as it reflects from some positions. The trackpad of the laptop isn’t as accurate, and it doesn’t match the average response speed other laptops in the range have. Dell Inspiron 15 is an attractive laptop with a bold attitude. It mixes good performance, great components, and a sweet design into an advanced machine. The laptop has a look of an inexpensive and cheap machine but is definitely not uncomfortable to hold. It’s extremely lightweight and easily fits in a laptop bag. The laptop has a 15.6-inch diagonal screen and features HD 1366×768 pixels resolution. The display is dazzling, and it represents a vivid texture and vibrant colors. On the other side, the keyboard is very noisy and chunky. It doesn’t give a pleasing experience while typing and gaming and can become very annoying over time. The G50 has the worst battery in the class of Lenovo laptops, lasting only 3-4 hours. But this is the risk most gamers are willing to take. Performance is what really matters about these laptops. The AMD Radeon R5 and a 2.4 GHz Quad-Core AMD processor allow you to rest assured about playing a bit more demanding games than other laptops have to offer. The laptop also comes with 8GB of RAM and has 1TB hard-drive. Very vibrant and color-rich screen. The battery life isn’t as durable. The keyboard is the worst in Lenovo laptop class. Gamers don’t like chunky and noisy keyboards. Lenovo G50 is one of the most affordable budget gaming laptops. It mixes nice performance with components. Has a very fast and responsive hard drive and good graphics card. It should provide very satisfying gaming experience. 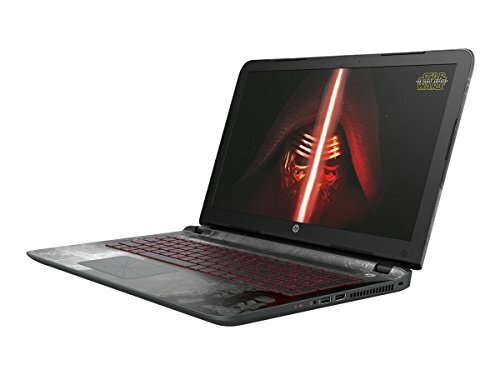 HP Star Wars 15-an050nr is a fan themed laptop in the design of Star Wars. With all the Star Wars hype this 15-inch laptop will appeal to every gamer with a geeky attitude. The laptops sports Intel Core i5 together with 6GB of DDR3 RAM and 1 TB mechanical hard drive. Continue reading this review to find out what this Star Wars beast has. The laptop is actually a well-camouflaged HP Pavilon 15, covered by every inch in the Star Wars Aluminum designs. It features subtle black and gray design with the red highlights. The chassis contains the symbols of Darth Wader, Storm Trooper, while the inside you can find a shape of the death star and much more featured symbols. It has a backlit sinister-red keyword with very deep and comfy keys for fast and accurate typing. Out of all elements, the touch bar seems to be the most creative of them all. It has a plastic surface with printed X-wing’s targeted computer view. The 15.6-inch screen has a 1920×1080 pixels resolution and allows proficient watching movies and playing less demanding games. Despite going above $500, this laptop still focuses on mid-ranged games on the lower performances. The laptop also has good-quality viewing angles. The laptop has a lovely configuration which goes together with its geeky attitude based on the design. Although it looks like a high-end gaming laptop, it still runs less demanding games because of its Intel HD integrated graphics card with a shared memory. Of course, you can easily upgrade to NVidia GeForce 940M, but that would, of course, cost more. The laptop desktop replacement with Intel Core i5-6200U 2.3 GHz processor and 6 GB RAM. Of course, there is a relatively fast 1TB mechanical hard disc that is handy for saving important data and saved games. The Force of this laptop is not strong in terms of battery life. It runs around 4 hours on high-performance and around 5 hours in online performance. That can be good in some aspects, but mostly not. 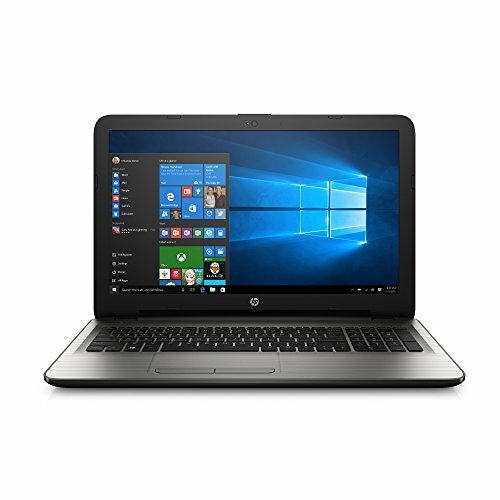 The laptops in this price range usually last around 6 hours. The laptop features powerful design and a deep, cushioned keyboard that makes you feel comfortable with writing. Despite the powerful design, the laptop is still affordable, not ranging much above the ordinary laptops without a strong print. The battery life lasts less than expected and the lack of a Nvidia graphics card is a let-down for the vast majority of gamers. The HP crafted an exceptional designed laptop with a small touch on a gaming aspect. The laptop works great in a day-to-day usage and gaming on less demanding settings. 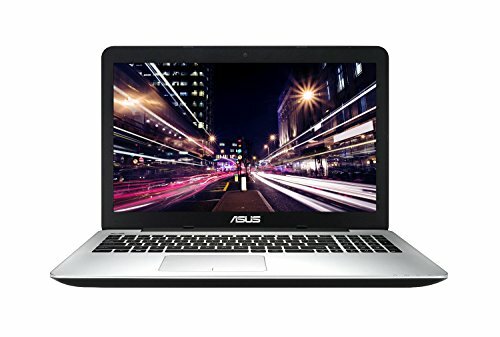 ASUS F556UA-AB54 works as a great desktop replacement and is a lovely designed laptop for everyday use and gaming as well. This 15.6-inch gaming laptop is coming with an Intel Core i5 processor that is accompanied with 8 GB RAM. Also, there is a swift 256GB SSD drive and a preinstalled Windows 10. As always expected from Asus, it gives a sturdy and relatively thin system. The laptop measures only 5.4 pounds/ 2.3kg which is very low. It comes in a gold color and features extremely slim model. The chiclet style keyboard keys are quite comfortable and give a cushy experience, making room for a 10-pad num pad from the right side of the laptop. The laptop features an FHD screen and is a 15.6-inch laptop. The laptop performs adequately thanks to the Kaby Lake Intel Core i5 that measures 2.5 GHz. It has 8 GB of RAM and a 256GB solid-state drive that performs indeed swiftly and smoothly and has above-average transfer speed. The biggest opponent of gaming is as usually, Intel HD integrated graphics card. Hence you should be careful in picking your games selection. The laptop lasted approximately 5 hours under the web surfing performance. However, we wish it lasted more. The laptop offers high-productivity and mid-ranged gaming performance. It has good connectivity and maintains steady internet connection with ease. We wish the battery lasted a bit longer. 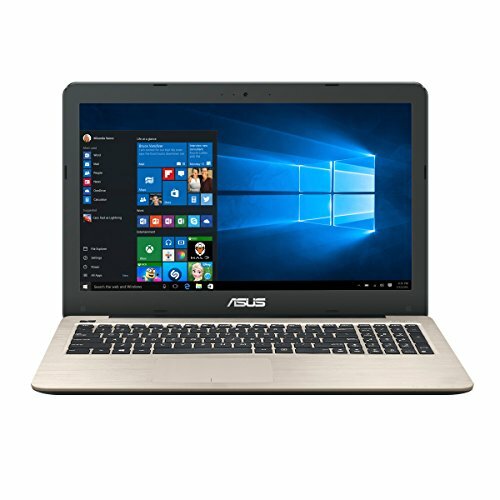 ASUS F556UA-AB54 is a machine that can easily replace a desktop computer at any aspect. Thanks to its construction it runs sturdy programs with ease, connects to the internet fast and provides nice gaming experience with less demanding game releases. The Asus F556UA is a nice combination of design and performance that is affordable in the process. 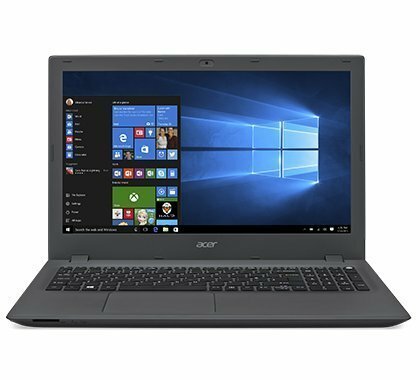 Acer Aspire E15 is a low-budget gaming laptop that offers great productivity and general features. This is the best gaming machine you can get under $600 as a result of its Intel Core i5 processor, NVidia GTX 940MX and 8GB of RAM. Additionally, the laptop stores a 256GB solid-state drive, and just like most of the laptops in the range has preinstalled Windows 10. The laptop is a fair mixture of a shiny and matte design, elegant either way you look at it. The system is built fully in black plastic and weight around 5.25 pounds/2.35kg which is more than light-weight laptop in the price range. The Aspire E5 features a 1080p resolution. The 15-inch screen with vivid shades will allow you to easily surf through the net, watch your favorite videos and movies, but also enjoy the vibrant colors from your favorite mid-ranged games. The keyboard is not as comfortable as it seems in the picture, while the touch bar is slightly better. The laptop presented here is far more gaming –friendly than other laptops in the list. Having a discrete dedicated graphics card GTX 940 MX, it can run the games of a new generation such as GTA V, Far Cry 4 and Witcher III on lower settings. It has an Intel Core i5 processor with 2.3 GHz power and 8 GB of RAM, and stores a swift 256 GB solid-state drive for storing saved games, videos pictures and other elements. Handsome design that makes it stand out from other laptops in the range. Unsatisfying, small, and noisy keyboard. Acer Aspire E15 represents the best combination of gaming components with a sleek design. It allows reasonable gameplay on high settings for most of the games on the market. It also has a long and durable battery life and is relatively lightweight to carry around in the bus and use it in a café or a library. With this, our budget gaming laptops under $500 list comes to an end. However, if you’re more of a strict and professionally-oriented gamer, we recommend you to go for a more game-friendly options. The selected laptops may not offer the best gaming experience, and they are incapable of running most of the games that came out in 2016, but they will appeal to every geeky enthusiast that finds playing games as a personal relief and a way of relaxing. What is your favorite laptop from the list? Please, let us know in the comments and share if you liked the article. What is your favorite laptop from the list? Please, let us know in the comments and share if you liked the article.